Charter airline Azur Air Ukraine, previously known as UTair Ukraine, has not changed hands, despite earlier intentions to sell the company to the international tour operator Anex Tour. As of July 31, all of the carrier’s stocks belong to Russian UTair group, according to the group’s biannual report. Rumors about a proposed sale of UTair Ukraine to Turkish Anex Tour came to light in October of last year, in which the object for sale was the carrier’s air operator certificate. Azur Air Ukraine is currently listed on Anex Tour’s website as a partner air carrier. 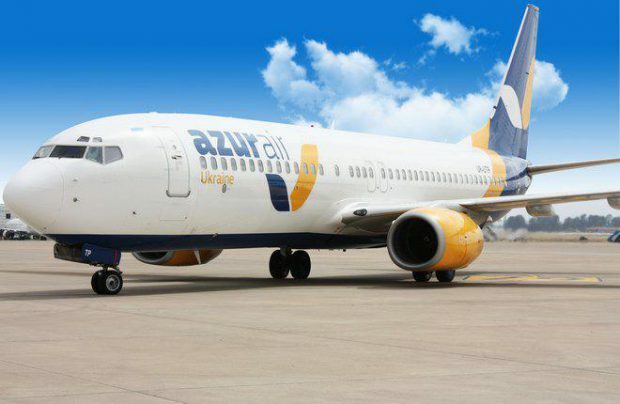 The UTair group offered no comment as to why 100% of Azur Air Ukraine’s stocks remain in ownership by the Russian group, nor to whether or not the announcement of the sale is still in effect. Anex Tour also declined to comment, and Air Azur Ukraine has offered no answers as of yet. UTair recently sold Azur Air, formerly known as Katekavia, to an unknown buyer that is a main partner of Anex Tour. Azur Air and Azur Air Ukraine are painted in livery with the same design, but with different colors. Azur Air Ukraine’s fleet consists of 3 Boeing 737-800s. The airline carried 12.5% more passengers in the first six months of this year than last year. The State Aviation Administration of Ukraine noted that the airline, along with Ukraine International Airlines and Windrose Airlines, served 82% of international charter passengers in the first half of this year.